Introducing Pro+, the individualized observation tool that expands the focus of observations to students. Pro+ provides the capture and viewing experience required to put each individual student’s learning needs into focus during observations. The service is based on patent pending multi camera recording and playback software. This helps you target instruction to each individual student to keep everyone engaged in the learning process. 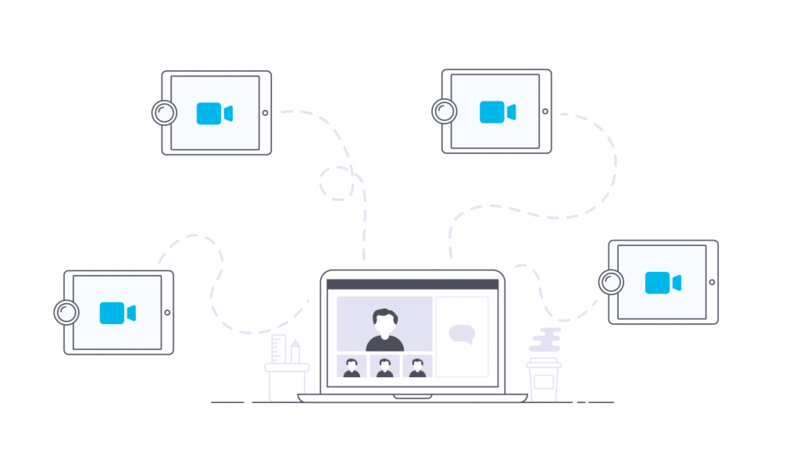 Record up to 5 video feeds within your class all at once, then review all of them in one interactive interface that allows you to hone in on any students and groups that require extra attention. Your students’ engagement levels are key their success in your classroom. Pro+ allows you to do something you could never do before – be everywhere in the classroom at once. By capturing student videos, you get to see how students interact when you are not present and when you are. Pro+ gives you a clear picture of who is paying attention,who is not and often times why. Your recordings give new meaning reflection as it shifts from a passive activity to an in depth student evaluation. Record small group student activities to gauge the productivity of the assignments and their interactions. Swivl’s Pro+ provides you with insights that you can use to create new, individualized learning opportunities centered around your students’ learning needs. The tools provided by Pro+ allow you to open up your observation process to help you develop better insightss for individualizing your instruction. Use Swivl’s collaboration platform to engage with others and develop collective insight to feed lesson plans that elevate student engagement. Pro+ gives you the ability to seek feedback and collaborate with your colleagues securely and privately. Sharing your Pro+ video via email allows you to give authenticated access to your colleagues. Through time-stamped commenting, they can then provide feedback that is directly linked to the event that is under review. Swivl’s Pro+ multi-camera video technology individualizes classroom observations so that you can see and hear every student. See what it can do for your school! All new users receive Pro+ FREE for 30 days. Talk to our User Success Team today to find out how to get started.